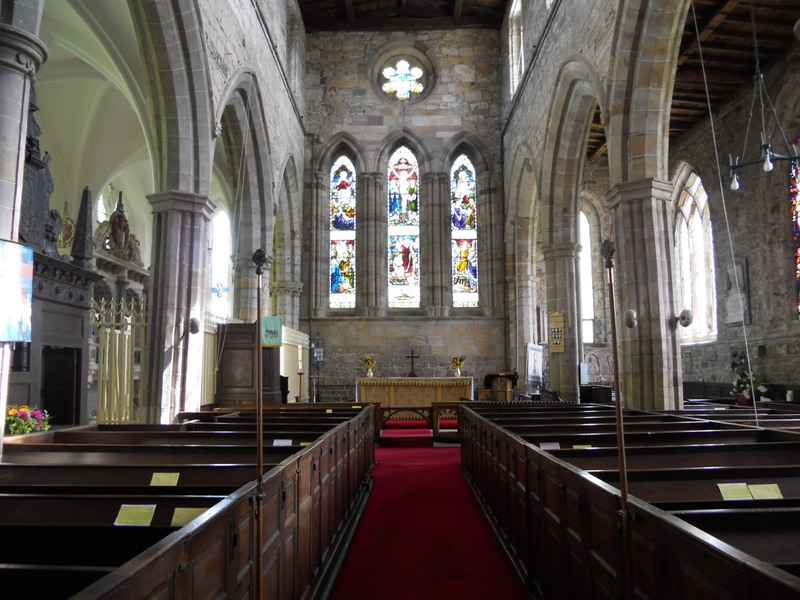 On my way home from Derbyshire I took the opportunity to visit a few other churches. This church stands in a very prominent position on top of a hill and can be seen for miles. What we see here now is the remnants of an Augustinian Priory. It is well signposted off the main road far below. It is open every day and is a quirky place with a long history that is worth exploring. But who was St. Hardulph? It is a unique dedication. 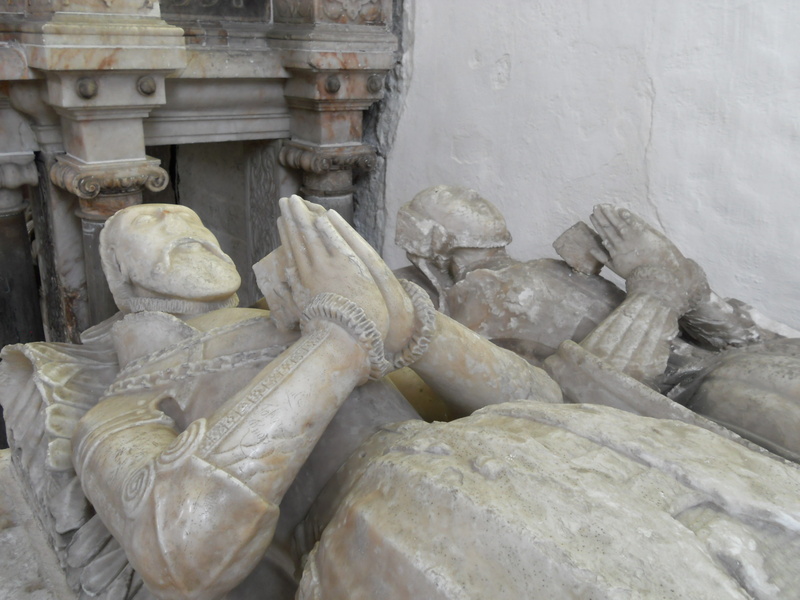 Nobody really knows, he could have been an Anglo Saxon King who was made a saint. There is also a story about a holy man who rescued 2 women from drowning as they brought him a book he had forgotten. We will probably never know. Inside I found a guide book (a very good one) for £3, some prayer posters at £1 each which is something I have not seen before. Some ‘bats’ to carry about as well as a laminated guide sheet and a ‘bat ‘ about he modern icon ‘Icon of the Holy Face’. Children have an area with colouring in and there are some books to borrow. 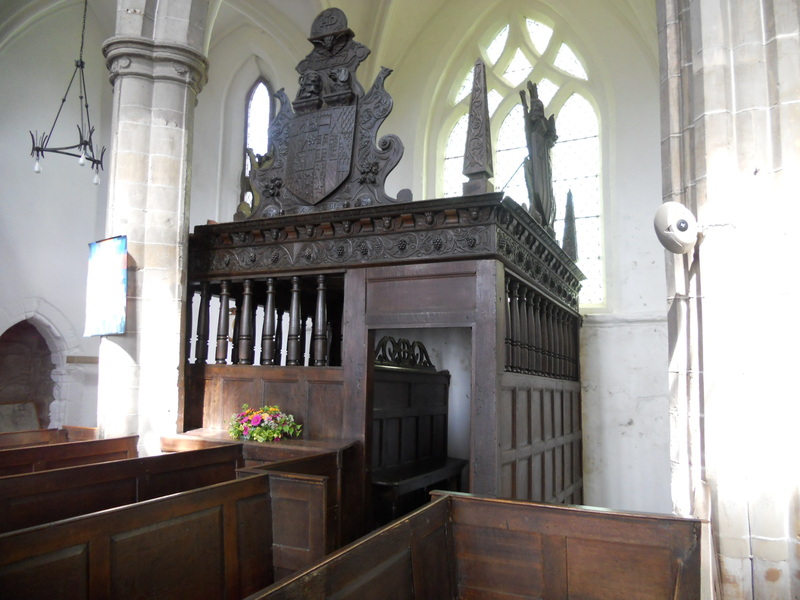 There is a rather bizarre family pew – The Shirley Pew, which can only be accessed by going through the right box pew. I can imagine a lot of shuffling around when the family turned up to use it. Currently it house some good children’s work on St. Hardulph. A prayer board can be used and there is a votive stand too. The visitors book is a loose leaf folder with lots of entries in it. They are not all dated so cannot be counted. 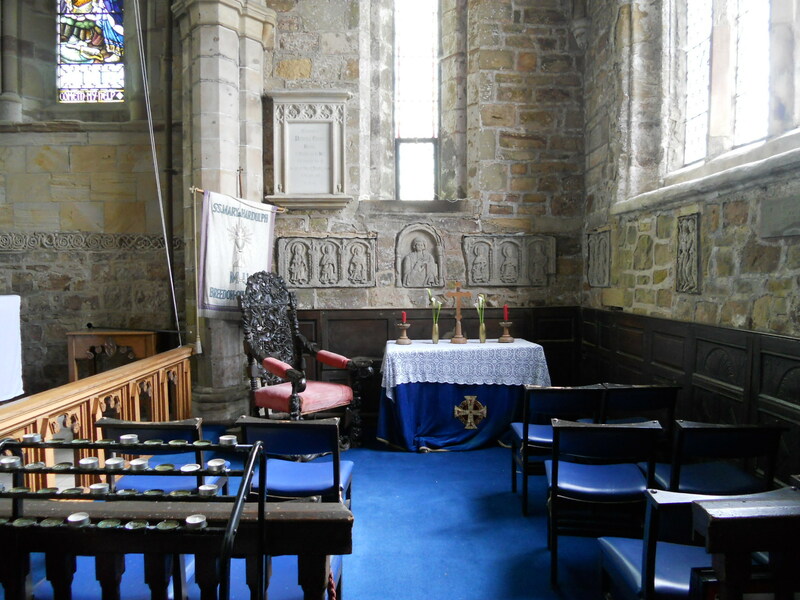 The church also features some crude carvings. 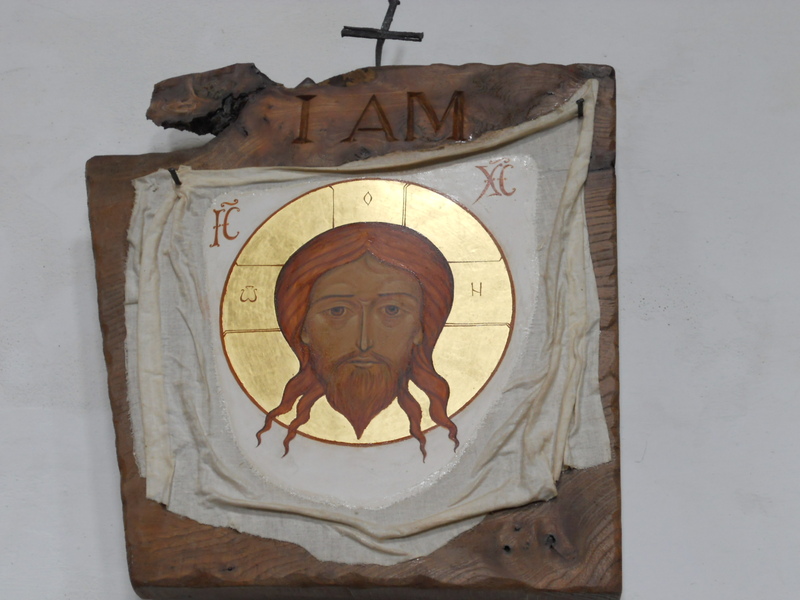 The modern Icon – ‘Icon of the Holy Face’ is a moving one. 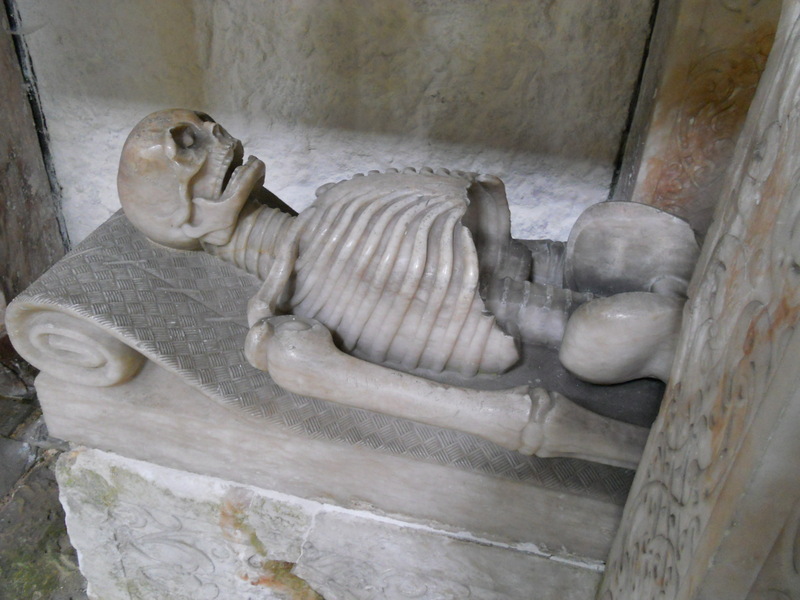 There is a rather gruesome memorial made of alabaster to a Shirley, as well as others for the same family. 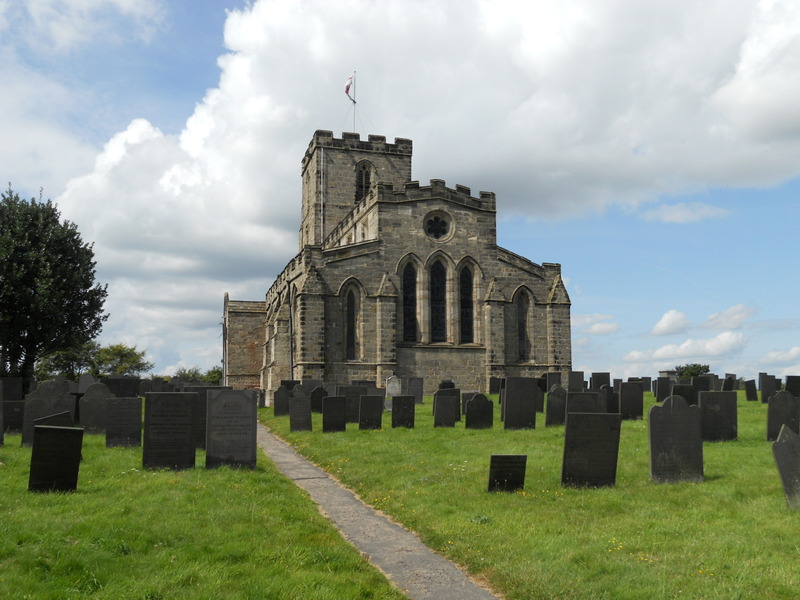 The church website is at http://www.benefice.org.uk/breedon_church/ and this gives clear visitor information. I rate the Priory church as very good for the purposes of this study.